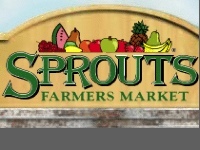 Sprouts Farmers Market announced today that it is closing three stores in Austin. One of the stores is the one Anderson, formerly Sun Harvest. According to today's article in the Statesman, the closing is the result of a recent merger that left the store chain with too many stores too close together. The three stores that are closing are on West Anderson Lane, Bee Caves Road, and Brodie Lane. They will all be closed by December 18. The 120 employees were notified of the decision this morning. Some of the employees will be offered positions at other stores. Sprouts' merger with Sun Harvest earlier this year added two stores to the four stores it already had in the Austin area. Click here for more about the store closings. So they are going to take a successful grocery store that has been there for many many years and just shutter it? Remember Handy-Andy (where Stein Mart is now)? And Safeway (where Roger Beasley Mazda is now)? Albertson’s on Ohlen? The original H-E-B where the post office on Far West is now, and how ’bout the original, HUGE Sun Harvest where Target on Ohlen is now? The dissatisfying revolving grocery store carousel for Allandalians continues. As far as losing Sun Harvest/Sprouts goes – a lot of elderly depended on that store, within walking distance of their apartments and economical. Wal-Mart, political choices aside, is exhausting for many to shop in, and a long, hot walk in the summertime to boot. Sun Harvest/Sprouts was just the right size. Great for a quick milk run, or an Oh I forgot to buy the . . . run. Not only that, it was a community gathering place (like the IGA in Crestview) with a community bulletin board, a place to pick up the Chronicle, free coffee samples, and creaky oldies music on the P.A. Many staff members, like Vicki, the best checkout cashier in the world and elderly, had been their for years and will be hard-pressed to find jobs. It was also a place of summer employment for many local high-schoolers. I don’t know why (aside from the Crestview IGA, which is basically an exercise in nostalgia), we can’t seem to keep a reasonable grocery store on this side of town. Randall’s on Mesa is very crowded and expensive, and despite H-E-B’s recent “uplift” to its Burnet Road store (loooong overdue), it is still a nightmare to shop in (as compared to its Far West location). It is extremely crowded, with long checkout lines, an insane parking lot, and a very poor selection of products, e.g. fresh produce is an oxymoron at the Burnet Road H-E-B. And if you want to squeak grow yer own, buy local, Wheatsville, the new Arbor Walk health store, Newmarket, the farmer’s markets on Burnet and the Triangle or even going with a CSA-type endeavor like Greenling, I would say fresh produce was nearly impossible to get anywhere during this, the year of the drought. The hallmark of Sun Harvest/Sprouts was its ability to provide an inexpensive, consistently fresh supply of produce (how did they do that? ), especially if you got there on Wednesdays. Although not a local chain, Sun Harvest was part of the fabric that kept Austin “weird.” What’s really “weird” now is how much of the Austin “weird” thing has forever disappeared (Las Manitas, Liberty Lunch anyone?) The “weirdest” thing, really, is the ongoing discussion heard everywhere – which city does Austin resemble more – Dallas or Houston?